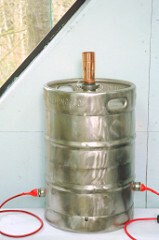 We can make any size for your still to fit a keg boiler. This is for 2 inch. Comes with all pictured.